to celebrate our 10.000 and now our 15.000 likes on Facebook. 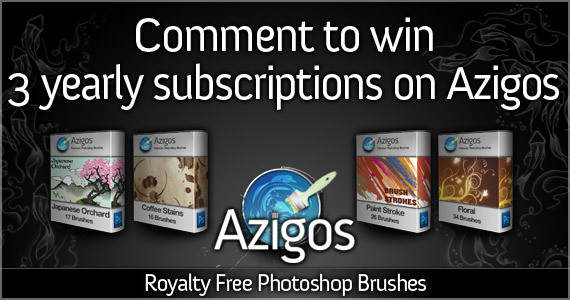 We give in exclusivity here 3 yearly subscriptions on Azigos : http://www.azigos.com/ which provide royalty free brushes. To enter the contest just comment this post, you must answer the question: what you would like to have/read on the BrushKing FB page ? - winners will be announced on sunday 18th november and contacted by private message.